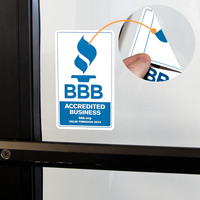 Place Double-Sided Window Decals to post your message coming and going. Graphics are on both sides of the label. Opaque internal layer blocks graphics from "see-through." Choose Spot Color screen printing or Full Color digital printing. 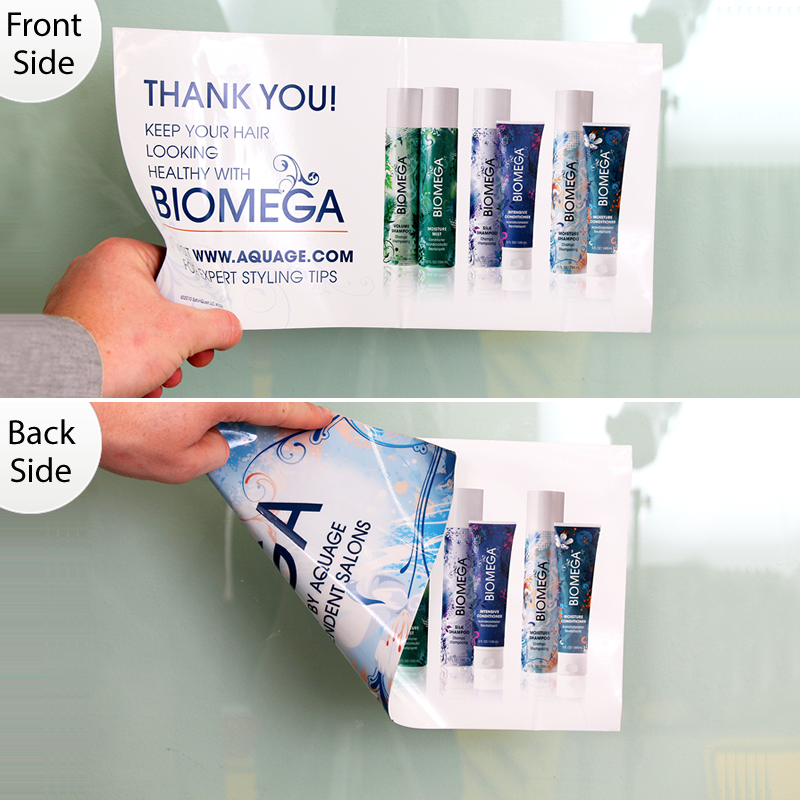 Includes 2 colors of print for each side of the label (note that colors are the same on both sides). Screen printed decals have a durable, permanent adhesive. 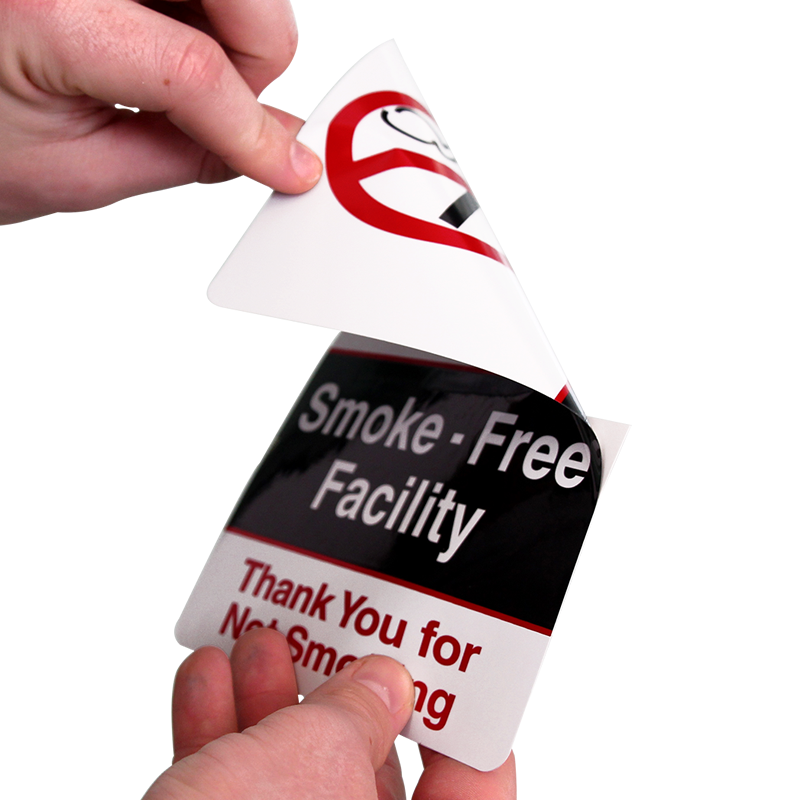 For temporary, or reusable labels, try removable polyester or static cling. 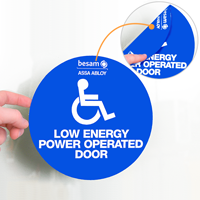 Polyester decals with removable adhesive are better for non-glass or textured surfaces. 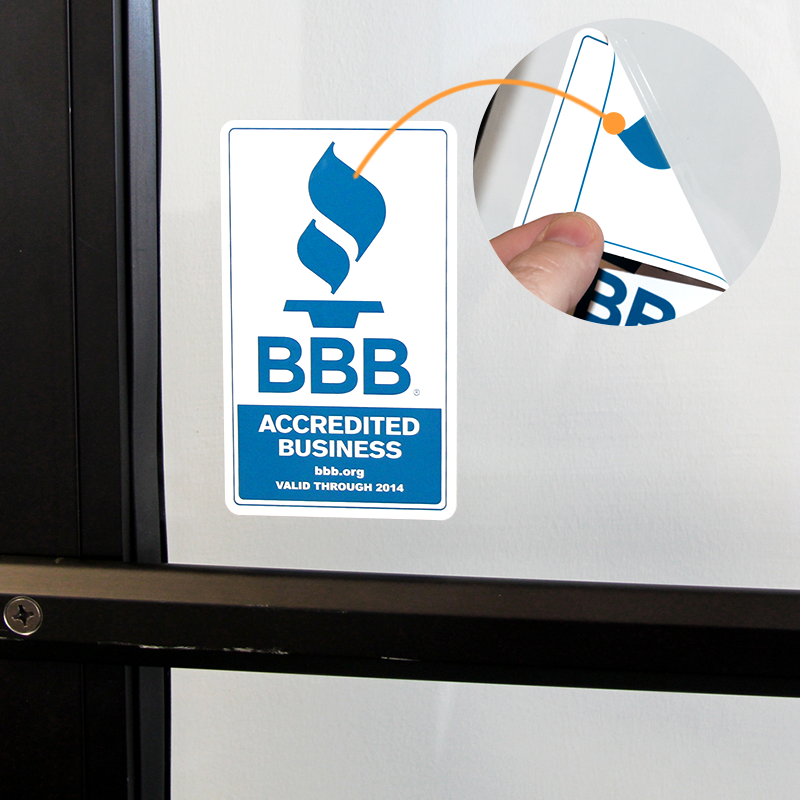 Double-sided window decals are ideal for company policies, employee notices, or store hours.